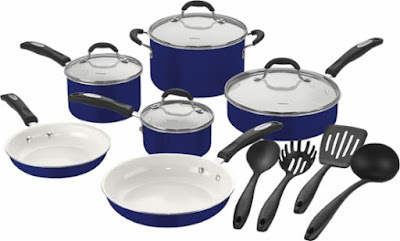 Today only, while supplies last, get this Cuisinart Classic 14-Piece Cookware Set for ONLY $79.99 (Retail $179.99)! Cook like a pro with this stylish set of ceramic saucepans and skillets, featuring nonstick cooking surfaces and riveted handles for extra strength. Stay-cool handles have soft grips for your convenience.